Second DLC Character For Injustice: Gods Among Us Revealed! Enter Batgirl! It’s official. Barbara Gordon, A.K.A. 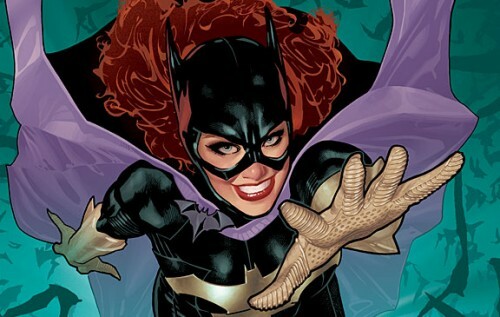 Batgirl will be joining the fray in Injustice: Gods Among Us. This latest character DLC was revealed yesterday afternoon via the games official Twitter page. Batgirl is the second of four planned DLC characters announced for the game so far; with the first being Lobo. There were rumors floating around that the four characters were going to be Lobo, Batgirl, Scorpion from Mortal Kombat and General Zod. Now that Batgirl has been confirmed as the second reveal it looks like that rumor is turning out to be pretty accurate so far. I am not sure how I feel about Batgirl being a DLC character. Don’t get me wrong, I don’t have anything against the character. I actually like her and have been enjoying her recent New 52 series. It’s just that since there are only four spots I would have preferred something a bit different. I mean we already six characters from the Batman series. Personally, I would love if any of the following characters would make it in; Mera, Martian Manhunter, Swamp Thing, The Spectre, Black Canary and Constantine. Either way, the game is amazing and Luis and I have been having a total blast duking it out online. Those of you who are fighting game fans or even DC comic fans definitely owe it to yourselves to check it out. Stay tuned for our review in our next podcast episode of Two e-diots and a Mic.